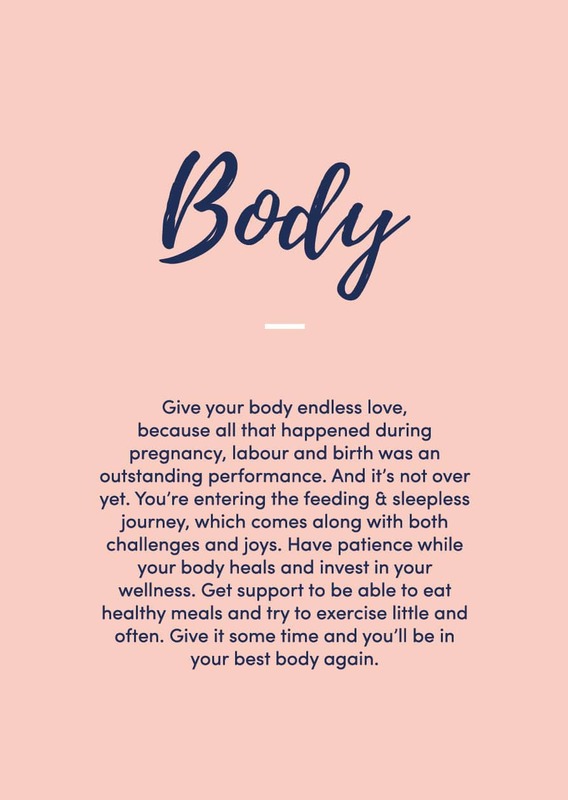 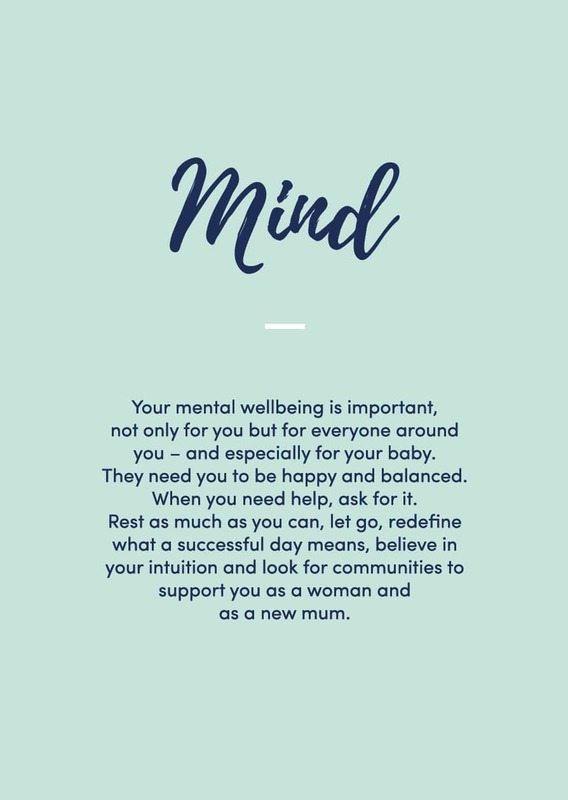 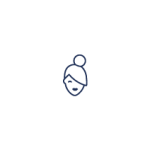 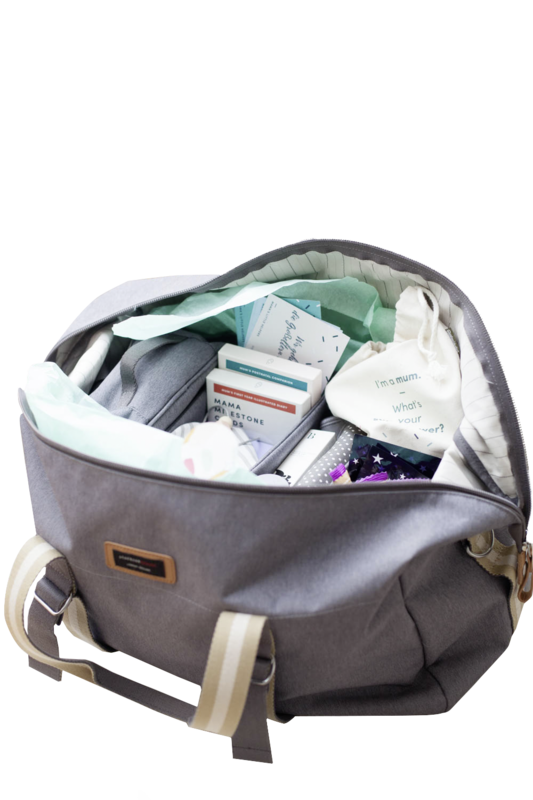 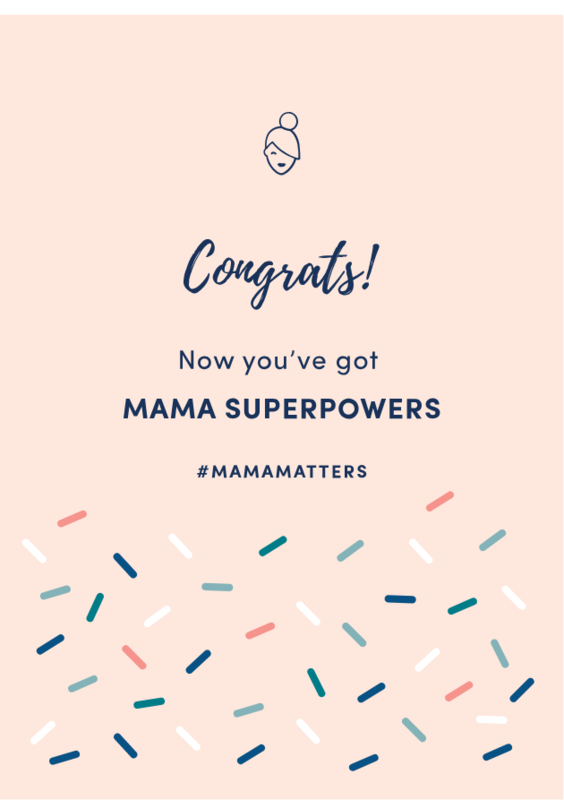 Mama Matters is a brand aimed at new mums, easing in their life into motherhood through a complete postnatal starter kit. 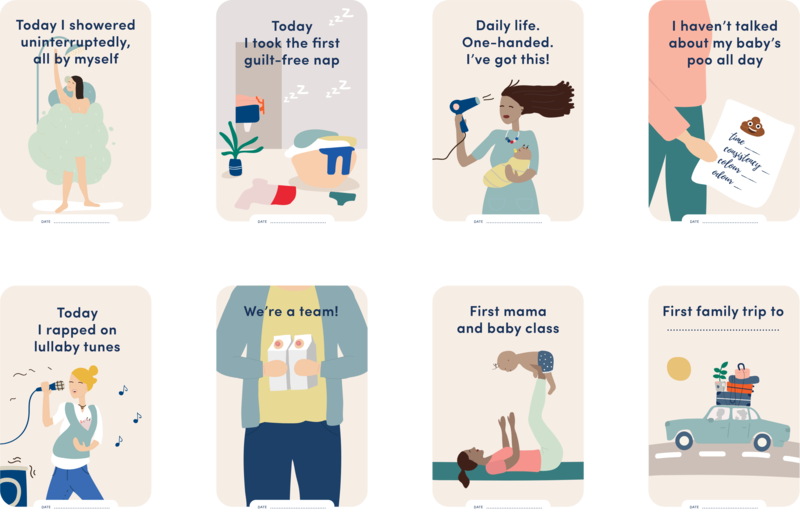 From logo design to cards illustrations and web graphics, the visual identity of this niched project offers precious info to moms community in Wien, Austria and rest of Europe in a well designed manner. 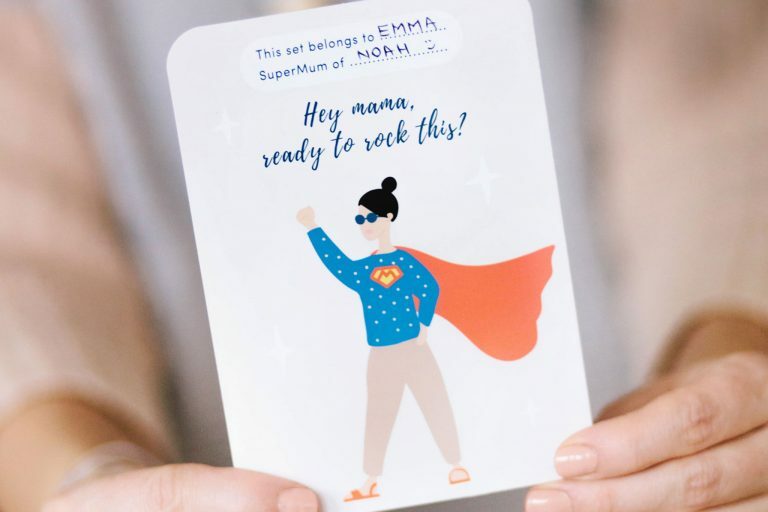 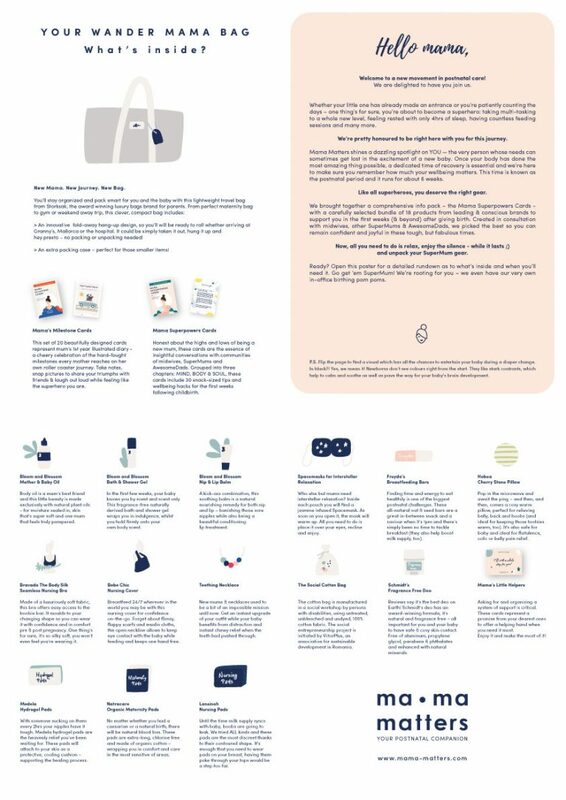 A big chunck of the work for Mama Matters consisted in creating a series of illustrations and patterns for their super helpful postpartum cards. 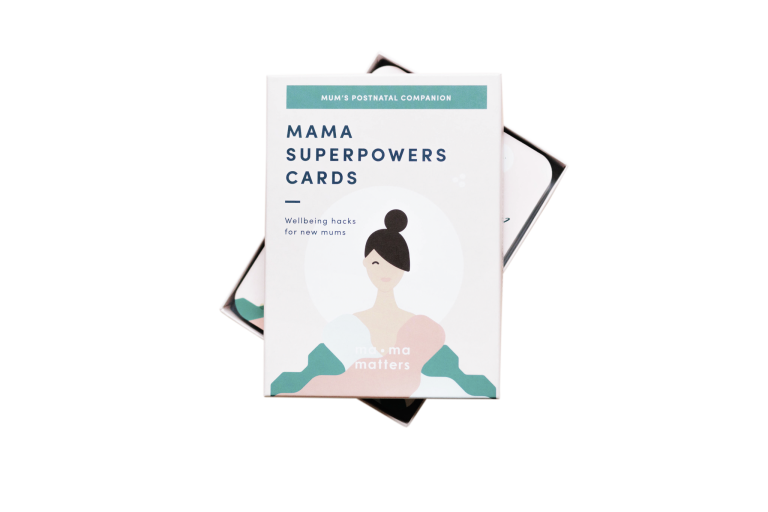 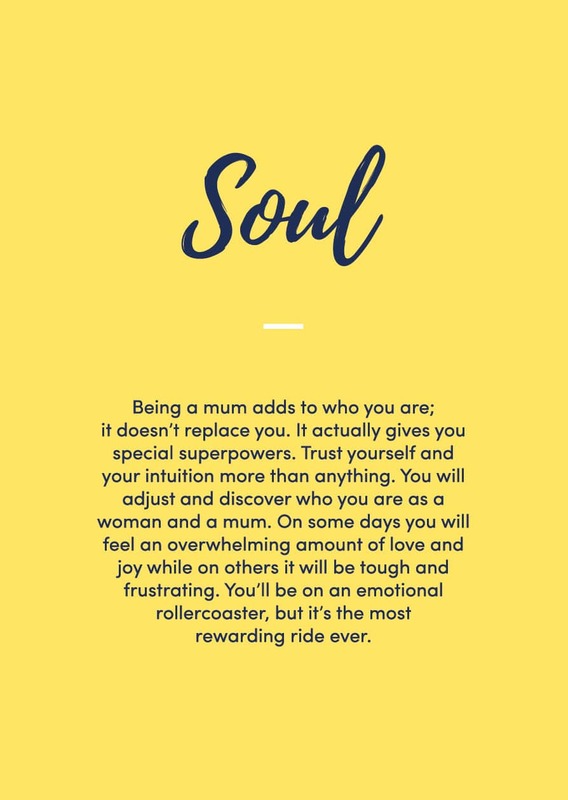 Mama Superpowers Cards are grouped into three chapters: MIND, BODY & SOUL. 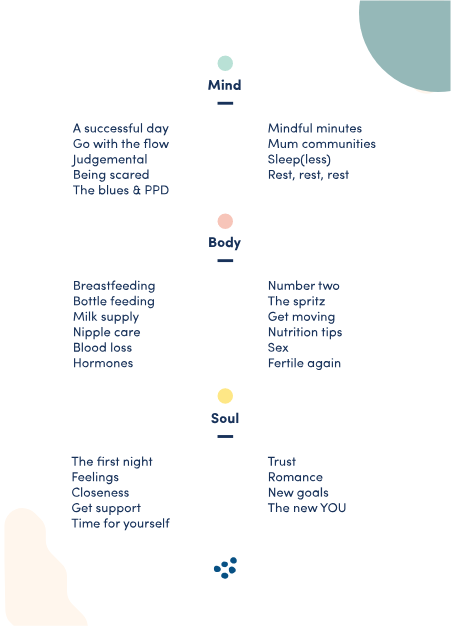 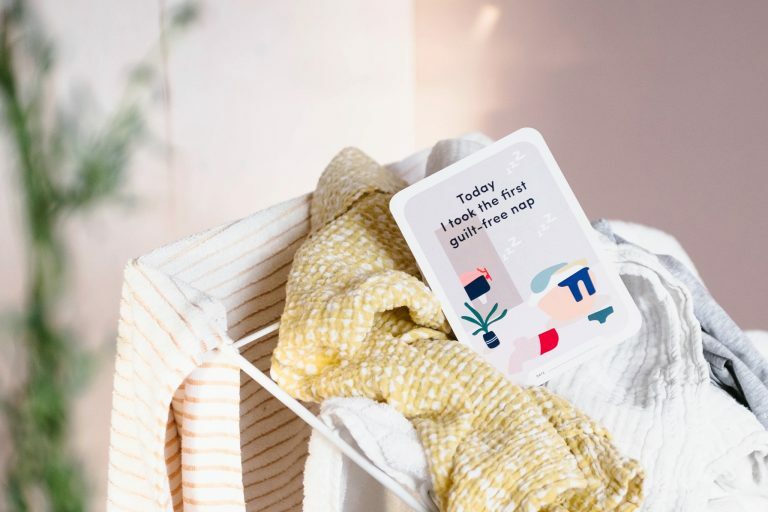 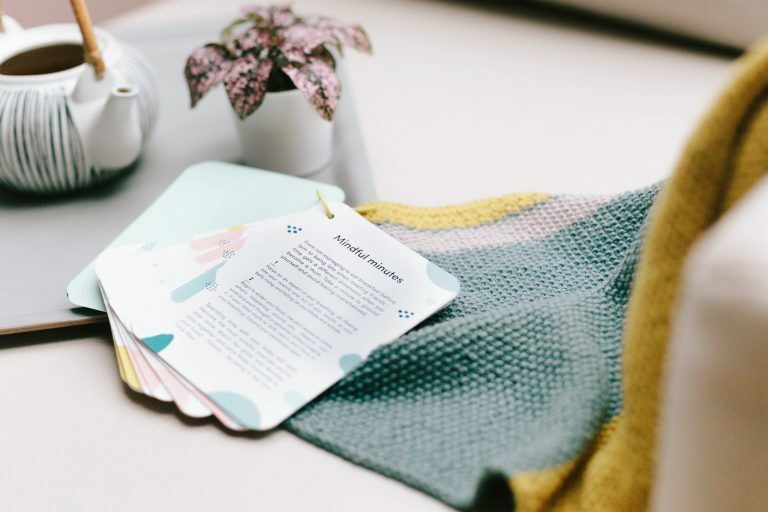 These cards include altogether 30 snack-sized tips and wellbeing hacks for the first weeks following childbirth for which we developed the patterns and layouts. 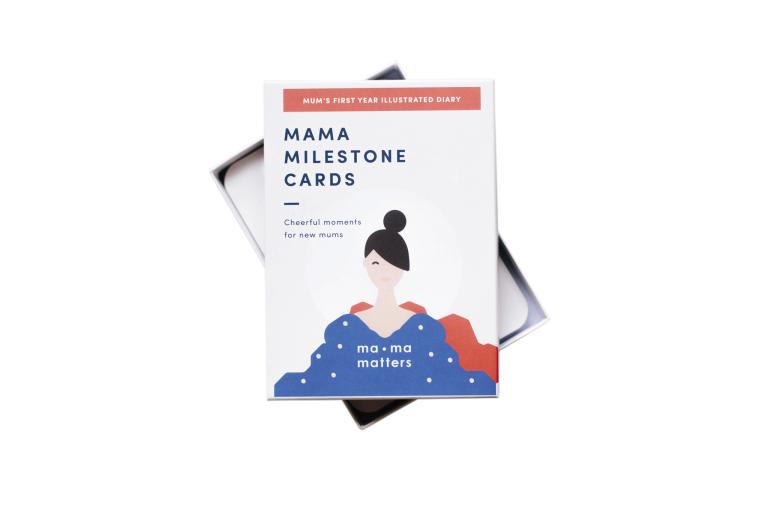 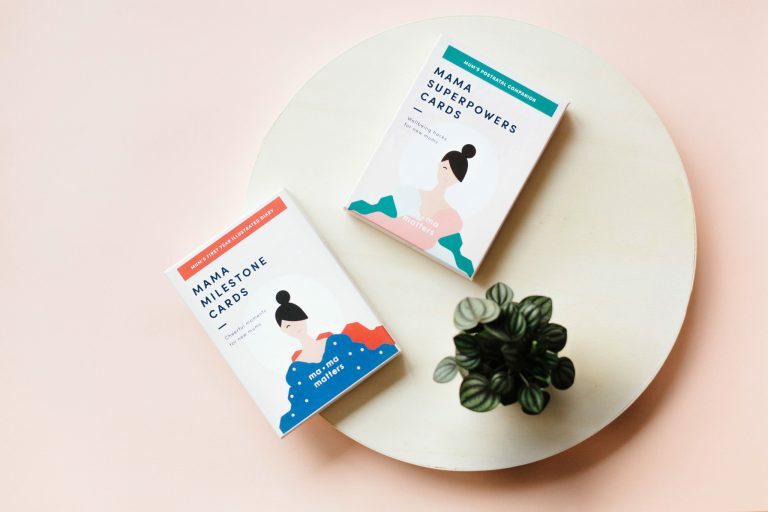 Mama Milestone Cards is a set of 20 beautifully illustrated cards – a cheery celebration of the hard-fought achievements every mother reaches on her own rollercoaster journey. 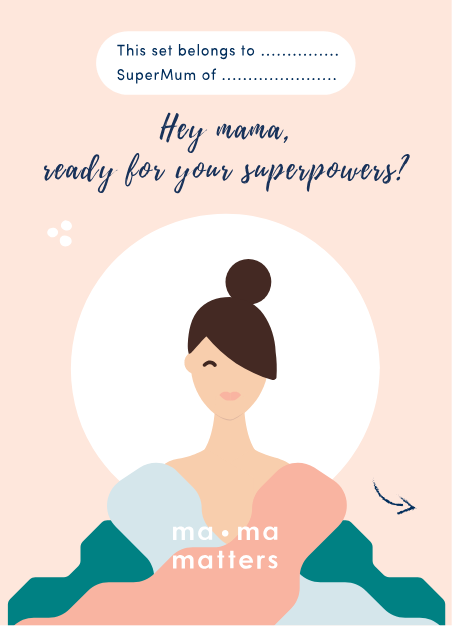 The illustrations for these depict special moments in a mama’s new life after pregnancy. 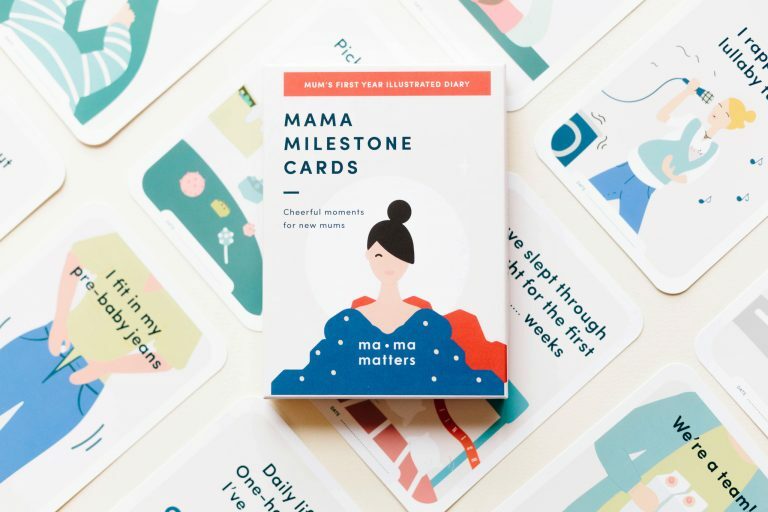 On the back of each milestone card you can add notes about that specific moment mums want to remember. 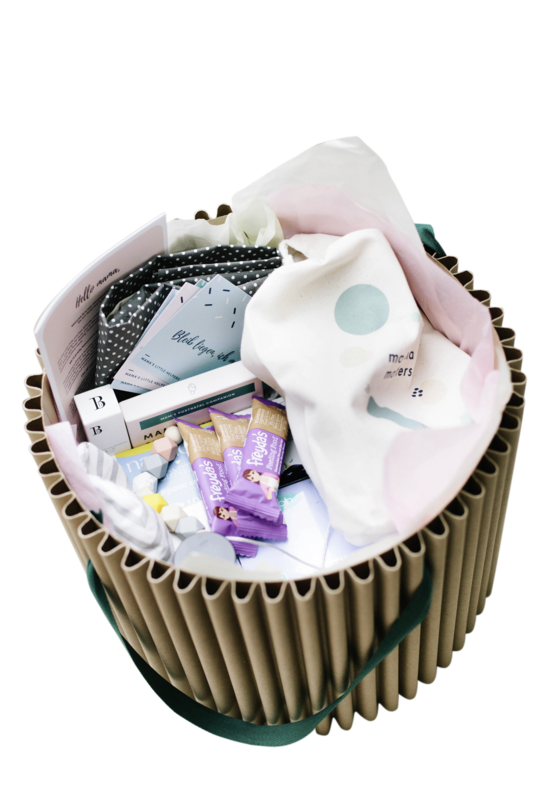 Every Mama Matters bag or box contains a welcome letter with an illustrated content list and a poster for the baby. 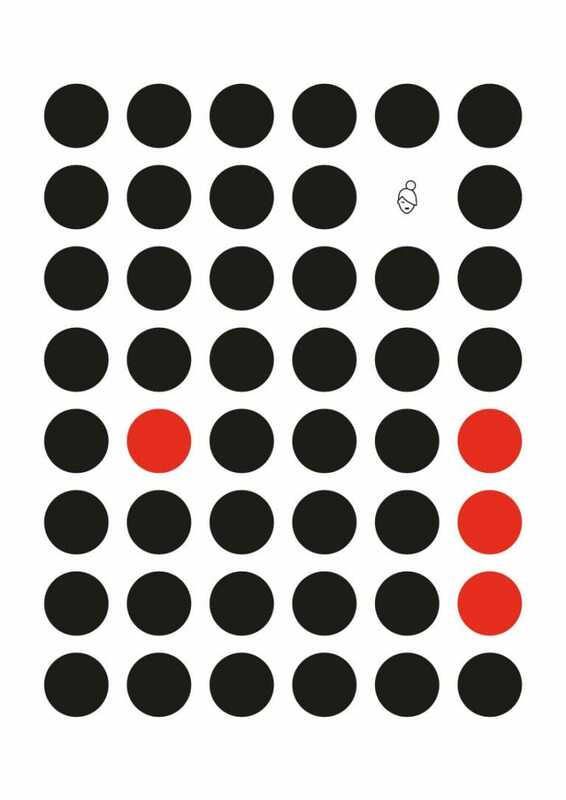 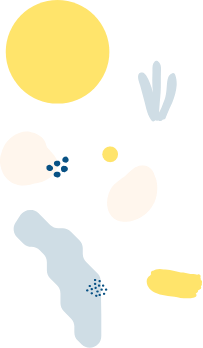 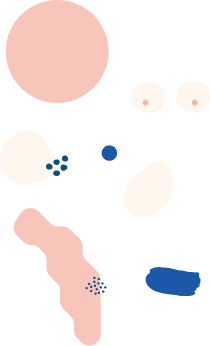 The poster was designed on the insight that in the first three months of their lives, babies see in black / white / shades of grey and usually recognize contrasting shapes. 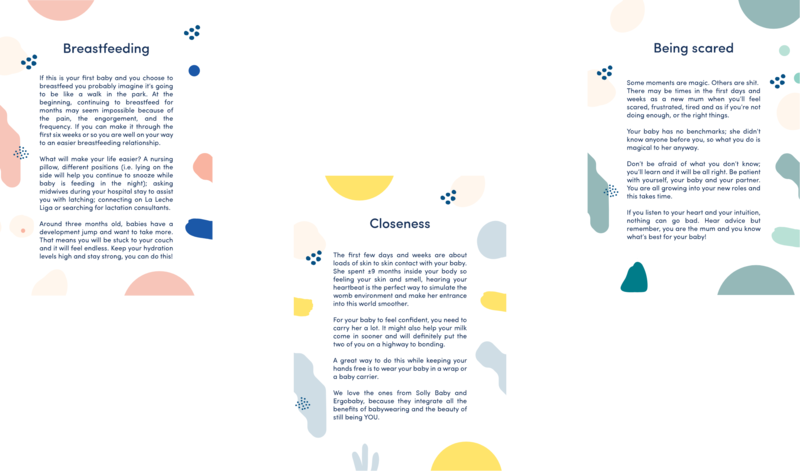 The illustrations are custom-made, using the same warming aesthetics and following the brand’s colour palette. 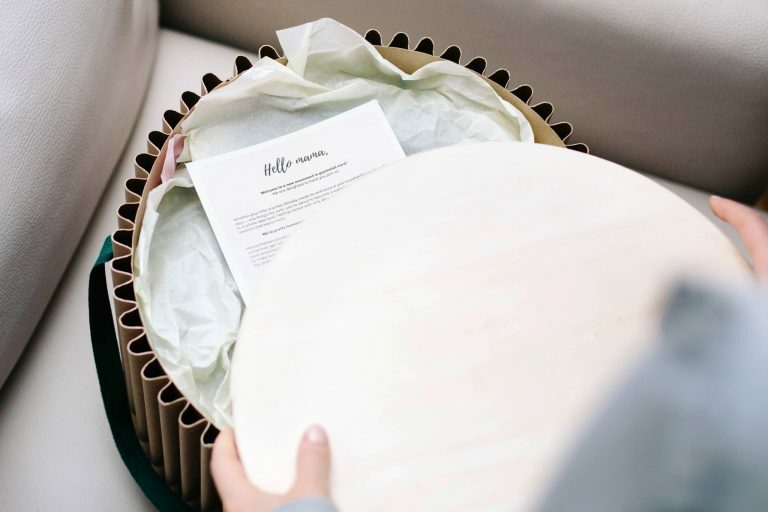 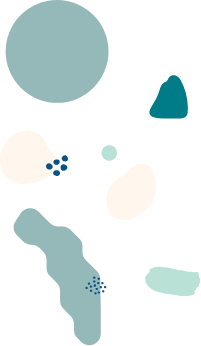 They were created as an alternative to using product pictures.